Once again the 2018 Show has a full Schedule which covers classes for everyone whatever their particular equestrian interest. The British Showjumping ring has a very busy schedule of ten classes including two new classes, a Senior British Novice class for the less experienced Horse or Rider and for the more advanced combination a One Metre twenty Five Open class which should allow the Public plenty of top class jumping to view. 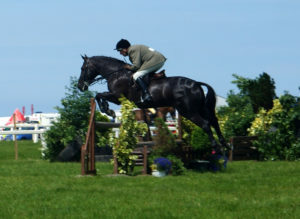 Has a multitude of Showing classes during the morning followed by the very popular Working Hunter Classes during the afternoon including the very excellent Royal International Qualifier with the final at Hickstead. In Hand classes. New class this year 1,2, & 3 year old class for any breed of Horse/ Pony which is open to all. 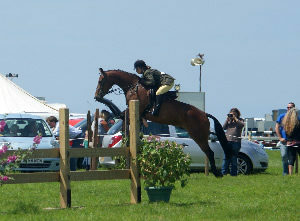 This is followed by In Hand Hunter classes and Brood Mare with Foal at foot. Coloured Classes In Hand and Ridden followed by the Mountain and Moorland Classes which cover the 9 native breeds to the British Isles. During the afternoon there is Fun classes including Fancy Dress etc. We believe we offer a comprehensive Show and do our best to best to facilitate all ages and abilities to give our competitors and members of the public a great day out.